Geelong Archives - Newtown City Hockey Club Inc. The summer hockey season is heading for the Christmas break, and it’s great to see the teamwork and the skills improving each week. Newtown Spirit vs Kardinia 6-2. A great game from Newtown Spirit, with the second half showing the benefit of great passing in the goal circle by Archer, Nate and Hugh. Excellent midfield play by Ruben, Pollyanna and Annabel. Sam’s sprint from the interchange bench to defend the goal, and subsequent saves on the goal line were a highlight. Newtown Spirit vs Newtown Strikers 5-5. A very even game with both teams showing fantastic focus on the play and great interceptions. Excellent positioning and ball control by Thamindu, Amber and Charlie resulted in some lovely passes and created many attacks. Great work by Charlotte making concerted efforts to get the ball. Newtown Strikers vs Bellarine 7-6. An excellent game by Strikers, with the second half teamwork and passing to space a highlight. Great running by Mitchell, Harry and Oliver, with Kenna and Harriet showing great awareness of their team mates and space to make effective passes. Matilda, Bella and Paige all showed great determination and perseverance, and great teamwork. Flame On vs Slip Slop Slap – 15-5, and a very fun match! Newtown Strikers vs Newtown Spirit 8-5. A very enjoyable game, with ‘give it your all’ efforts from Danny and Chris, well backed up by Zen and Ashley. Great skills by Ian to weave through the crowded path to goal. Excellent work for Strikers by Will, Kellie and Justin with Don solid in defence. Rohan showed great skills, controlling the ball well and making great position. Claire S found some lovely position, both in defence and attack. Supersonics vs Bellarine 7-8. Excellent positioning and perseverance by Grace and Kirsty, well backed up by Corey and Germaine. Rockets vs Wombles 4-5. Fantastic running and calling by Will, Noah, Harry and Ollie led to some great passes and plenty of attack. Great defence by Tracey kept out lots of goals. Excellent passing by Lily, with Olivia showing great awareness of the best option for her passes. Annabel was in great position to receive the ball. Great determination by Hugo and Will to get the ball. The most recent round of summer hockey matches was highlighted by continuing improvement in skills and team strategies. Our newer players have settled in well to the game and are showing great adaptability and understanding, while keeping active and having some fun. Players have adapted well to the ‘no hitting’ rule, which has translated into a focus on better ball control. Newtown Spirit vs Geelong College 10-1. Goals scored by 6 different players. Well done to newer players Hugh and Archer who got on the scoreboard. Newtown Strikers vs Kardinia 3-6. Great work from George to score the goals, with Jacob, Madison and Emma showing great awareness of team mates and well considered passes. Newtown Spirit vs Kardinia Pink 2-2. Great work by Luca, Ollie and Kate in looking for team mates in good position and using 1-2 passes. Flame On vs Newtown Spirit 14-3. Thanks to Erin, Katie and Alex who filled in for Spirit. Newtown Spirit vs Saints Red 4-2. Great game by Chris, Zen and Marion, who frequently applied good pressure to the opposition. There was some excellent passing in this week’s game, with Olivia and Lily doing a great job of looking for players in space. Paxton positioned himself very well and was ready to gain possession when the opposition had the ball. Will and Hugo showed good communication with team mates, and Annabel found some good spaces to receive the ball. Rockets vs Supersonics 4-3. Excellent work by young players Grace, Charlotte and Ollie, with Darren providing a solid wall in front of goal for Supersonics. 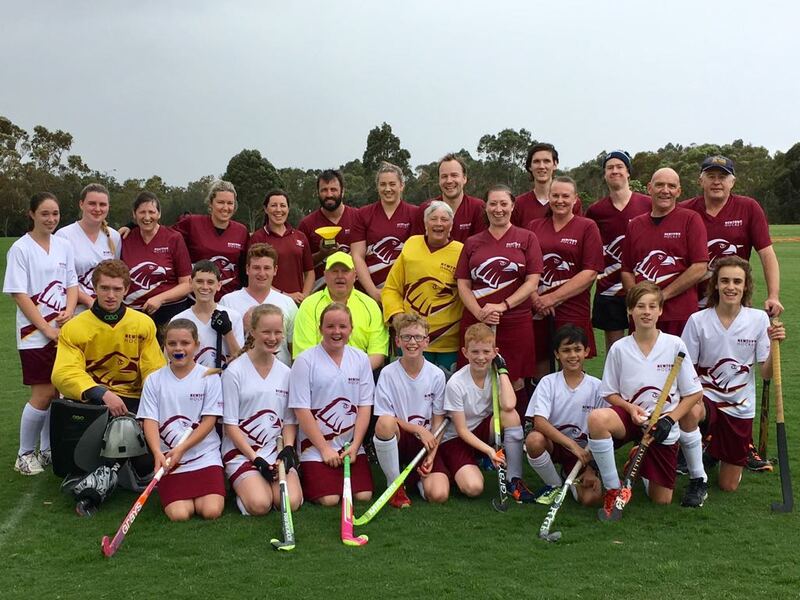 Members are invited to attend the 2018 Annual General Meeting of the Newtown City Hockey, at 7.30 pm on Thursday November 22, at Stead Park, Corio. Share the triumphs and highlights of the year, and give us your comments and suggestions to make 2019 even better. Find out about the Club’s activities during 2018. Receive a copy of the 2018 Annual Report and Financial Report. Help start planning for a fantastic season in 2019. Enjoy a delicious supper and a chat with fellow members. Members are invited to volunteer for a role within the Club or a committee position for 2019, but your attendance at the meeting will not place you under any obligation. View the agenda here or nominate for a position on the Committee (President, Vice President, Secretary, Treasurer or Committee member). If you are unable to attend, please submit a proxy form prior to the meeting. The Annual General Meeting will be followed by a General Meeting, which will include discussion about the items raised in the Member Satisfaction Survey. All comments and suggestions from members will be greatly appreciated. 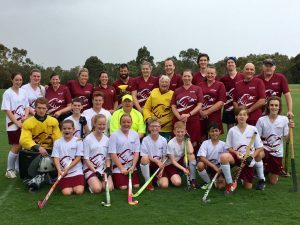 With the release of the G21 Regional Hockey Strategy, there are big things and important actions on the horizon for Newtown City Hockey Club. You are invited to participate in our “Just One Thing” campaign for 2019. We want to develop our sport and our club for the benefit and enjoyment of current members, and that of future participants. There are many “things” which need to be done to achieve sustainable development and long term stability. With a large club such as ours (currently 340 members), we cannot expect these things to be done by just a few people. We would be grateful if every family would nominate to do “just one thing” throughout the year. Your participation will make a significant contribution to our club’s success, both on and off the field. Volunteering is also a great way to meet other people and other members of the club. Here is the list of “Things” that we would appreciate your assistance with. Please tick just one “thing” (or more if you wish)​, and we will be in contact with you regarding your participation. The summer hockey season provides a great opportunity to keep active and have some fun with hockey. For new players or those returning to the game, it provides a relaxed way to learn or rediscover some skills. Play with friends and family, or make new friends. Reminder: there is no hockey next week (November 5 & 6) for the junior teams due to the Melbourne Cup events. More players are wanted for the U17 teams on Tuesday nights, plus Kookas on Friday, so if you are available, check the details and register here…. Supersonics are looking for some fill-in players next Friday as they will be playing an ‘Us vs Us’ game. White shirt and socks, maroon shorts. Newtown Spirit vs Newtown Strikers 8-1. Great effort by new players Archer and Hugh who both scored again for Spirit. Nice goal for Strikers by Jacob. Newtown Strikers vs Golden Plains 10-7. Excellent use of the width of the field this week and some great passing. Newtown Spirit vs Geelong College 10-2. Lovely game by Amelia, with all players making great tackles and interceptions. Newtown Strikers vs Saints Red 6-4. Great debut game in Masters from Kellie, with Claire S frequently in perfect position on the wing. Rockets vs Not Fast Just Furious – received a forfeit but had a very enjoyable ‘Us vs Us’ game. Thanks to Darren, Harry and Peta for filling in. The contest between Noah and his dad Jason was very entertaining. Supersonics vs Wombles 9-5. Great last line defence by Darren. Some excellent scanning and passing from Olivia and Annabel, and great calling by Annabel.